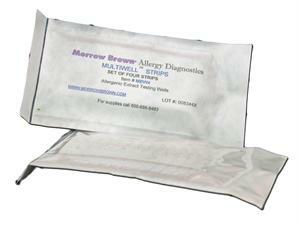 1 blister pack containing 20 MORROW BROWN® needles. Each box contains 100 blister packs. 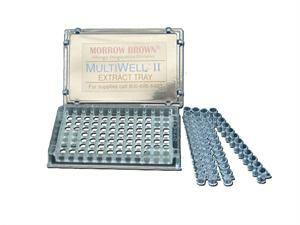 1 complete MultiWell™ II Extract Tray. 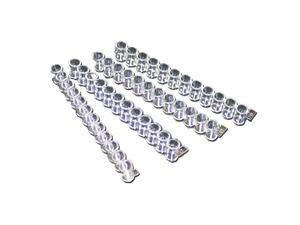 Includes 3"x5" tray, lid, and 48 MultiWells™. 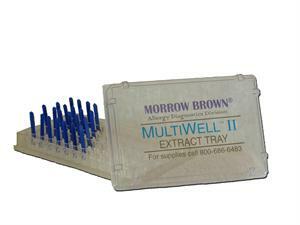 1 package of 4 strips of MultiWells™. Each strip contains 12 wells. A closer look at the 4 strips of MultiWells™. 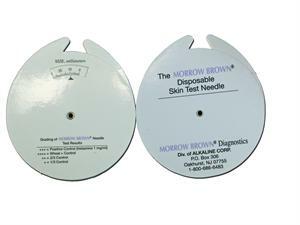 The MORROW BROWN® Circular Millimeter Skintest Result Caliper for the most rapid, precise reading. 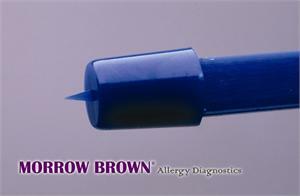 MORROW BROWN® disposable test needles.